A man was recently killed while changing a tire on the northbound shoulder of Interstate 79 near the Star City exit. This man was struck and killed by a tractor-trailer, and was found already deceased when the investigating trooper arrived on the scene. A passenger was also struck by the passing truck, but suffered minor injuries. The driver of the tractor-trailer was not physically injured by the impact, but surely is suffering as well. If you get a flat tire and have no other choice but to change it yourself, it is essential that you do everything you can to make yourself visible to other drivers. Some drivers drive too close to the shoulder and may not see you in time to stop when they are traveling between 70 and 80 miles per hour. • Turn on your hazard lights (emergency blinkers). • If possible, keep rolling until you get to a straight stretch of highway so that you are not hidden to other drivers by a curve in the road. • Pull off as far away from the highway as possible to keep yourself off the roadway as you are working to change the tire safely. 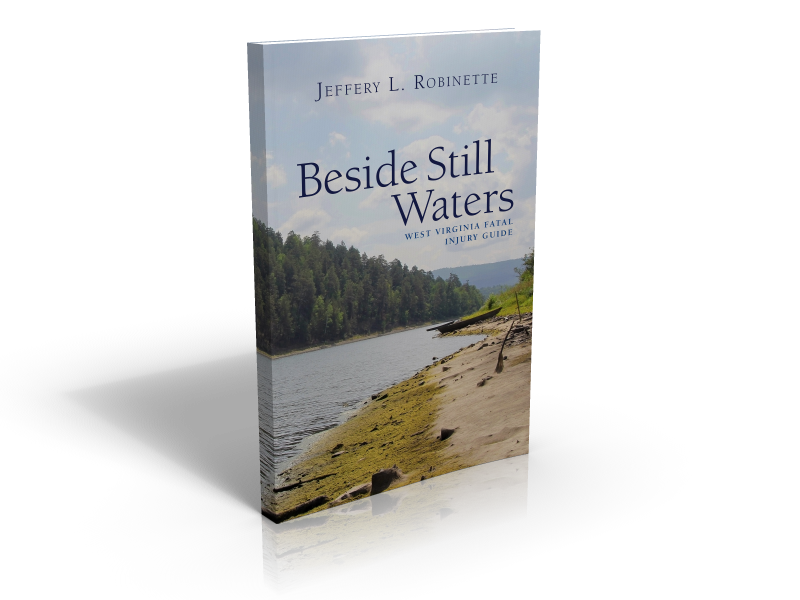 As fellow drivers, we have a continual responsibility to look out for others in distress. This fact makes it essential that we do everything possible to ensure that we are not distracted by anything while driving. When you are suddenly involved in an auto collision causing you serious injuries, you will likely have plenty of questions about how the insurance claims process and court system work. In essence, you want to be informed so that you can be fairly compensated for your injuries. 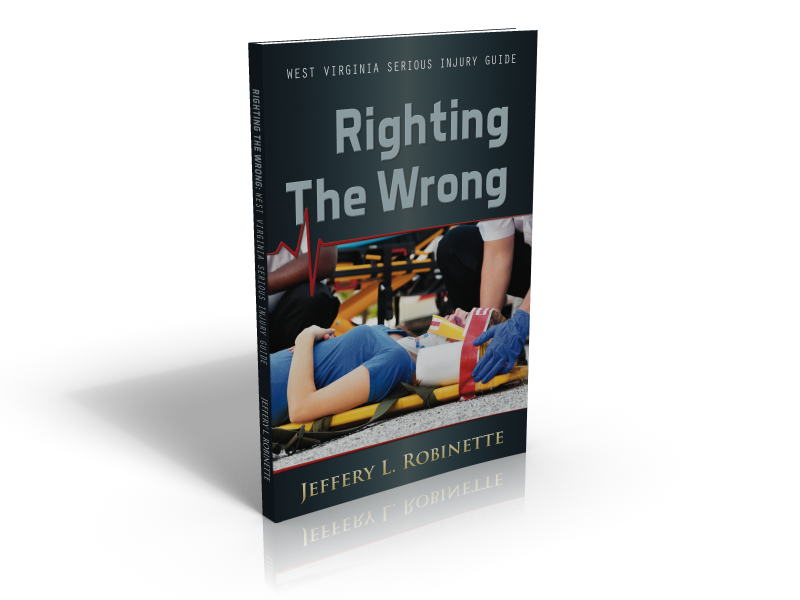 You need to understand your legal rights to ensure that you are compensated fairly for the injuries you received due to someone else’s negligence. 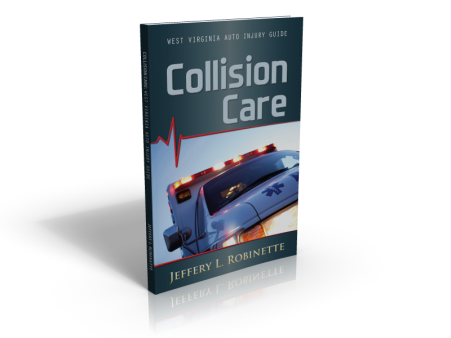 The Robinette Legal Group has made available Collision Care, a Guide for WV Accident Victims, free of charge for West Virginians and those injured in WV. Collision Care will answer your important questions about how to enforce your legal rights against the persons responsible for causing your injuries; how to navigate through the complexities of the insurance claim process and legal court system; and how to avoid being taken advantage of by insurance adjusters and their team of defense lawyers who are determined to minimize your recovery for your auto injury claim. Thanks Lewis. If you are referring to the social symbols, I will delete and replace. Don’t know why, but occasionally this happens.